On July 22, my now husband Donny & I traveled to the U.S. Virgin Islands—partially for business, partially to visit family, and partially to relax—before flying to Florida for business. We spent our first day in St. Thomas visiting family members that sea & Earth had prevented us from connecting with for many years. It’s really amazing how close you can feel with those who you are inherently made to know or have grown up with and understand, regardless of distance or time spent apart. After years of being away, you can simply pick up from where you left off like nothing had ever changed or time had not passed. After struggling to get to our resort from an apparently endless day of traveling—long lines at the airport, hunger, car rental problems, exhaustion, and gps and navigation trouble on an island recently devastated by hurricanes (which wiped out roads, lights, stop signs, and other infrastructure)—we made it safely to our resort. We were thrilled to learn that Donny’s cousin, Jessie, wanted to do a family shoot with everyone on the beach later that evening. (This gave us an excuse to take photos :p) So, we packed up our gear and headed to Secret Harbor, a cute little beach with a beautiful dock and a breathtaking view. 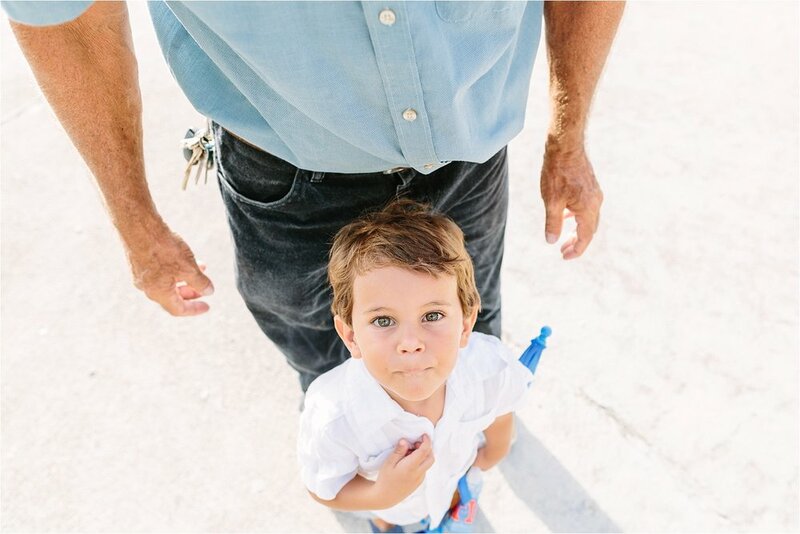 Our session would start out with a few standard family poses, and nothing out of the ordinary. But it quickly advanced to some amazing candid shots of our wonderfully adventurous islander relatives, and ultimately ended with one of the most gorgeous sunsets any of us had ever seen. 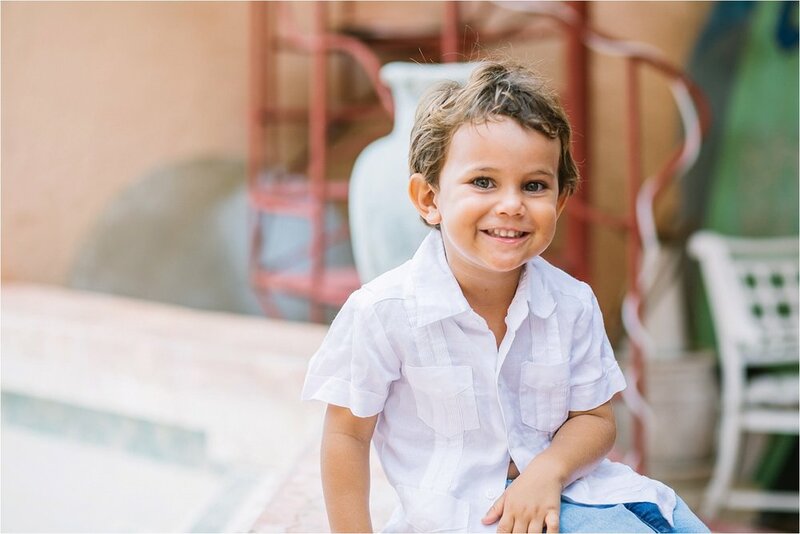 Meet Thomas, a little firecracker who knows who the real boss is… He’s one of the sweetest, spunkiest, & goofiest boys you’ll meet, and he’s fully aware of how cute he is. Donny got a chance to capture some candids before we all headed down to the beach for their family photo shoot. 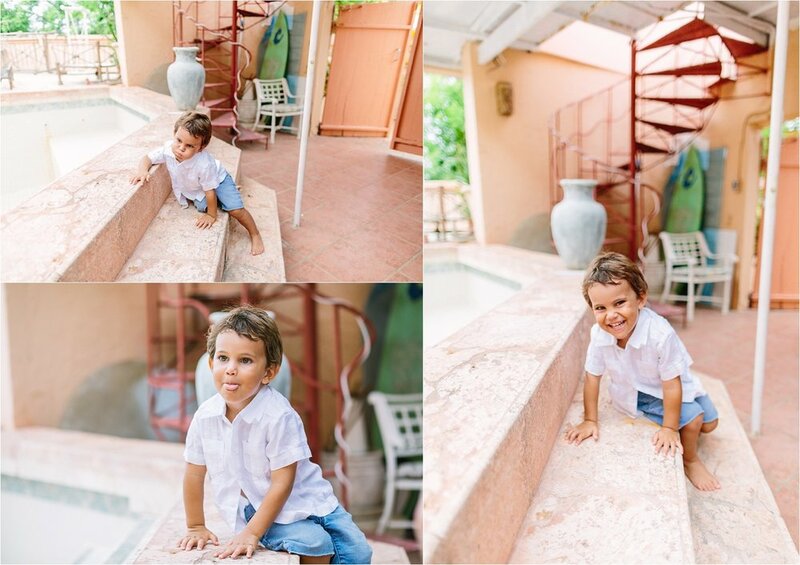 Our tropical family shoot was an amaaazing experience that Donny & I will never forget! 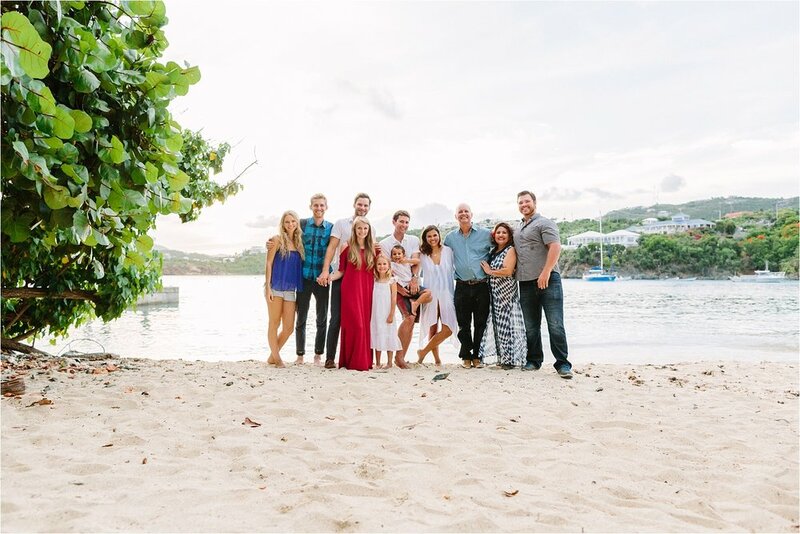 We so enjoyed hanging out with our Caribbean family & friends over the week and photographing the love between them all! 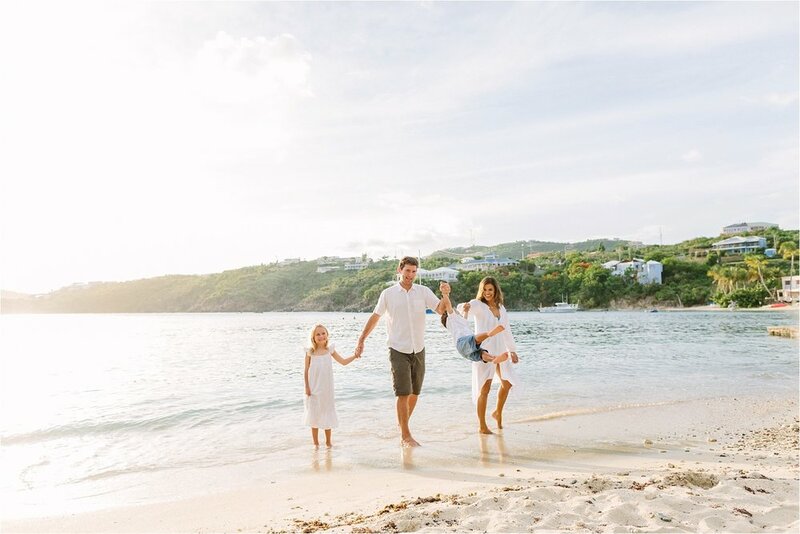 Big thanks to Jessie and the family for allowing us to capture their beautiful family and all of the tropical fun—most packed in the smallest packages, of course. We had a blast!